GREEN BAY, WI – Strawberry Fields Design, Inc., has added two 2008 ADDY Awards—and one Best of Show distinction—to its growing shelf of industry awards. The American Advertising Federation, a not-for-profit industry association, conducts the ADDY® Awards through its 200 member advertising clubs and 15 districts. It is the world’s largest advertising competition, and the only creative awards program held by the industry for the industry. Strawberry Fields Design was honored with a Gold ADDY® in the Interactive Media division, and was also awarded Best of Show Interactive—one of only three Best of Show awards (print, broadcast, interactive) presented—for a website designed and developed for Cowgirl Rose, a custom jewelry designer in Tennessee. 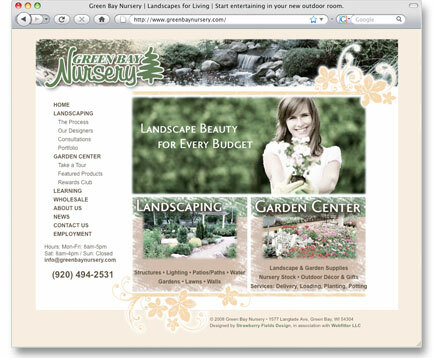 The website went on to win a Silver ADDY® Award at the District level. “This one really paid off, and both Brey and I were thrilled with the end product. I’m so pleased the ADDY® judges felt the same way,” Sorbo said. This year, Strawberry Fields Design also won a Silver ADDY® in the Interactive Media division for the Green Bay Nursery website. The ROM Group, which worked on the nursery’s corporate strategy, tapped Sorbo to design the website. 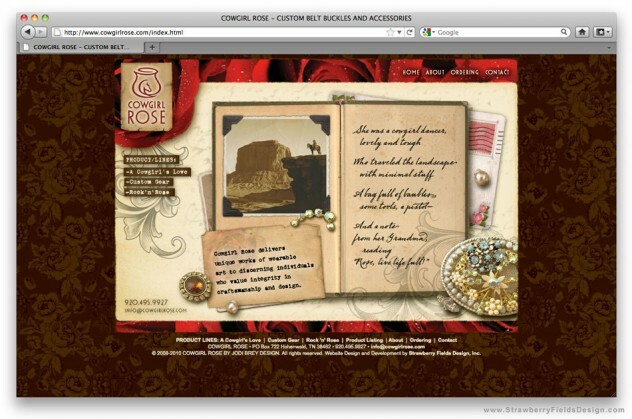 Webfitter then developed the site. Strawberry Fields Design may be only three years old, but it’s no stranger to winning such prestigious awards. 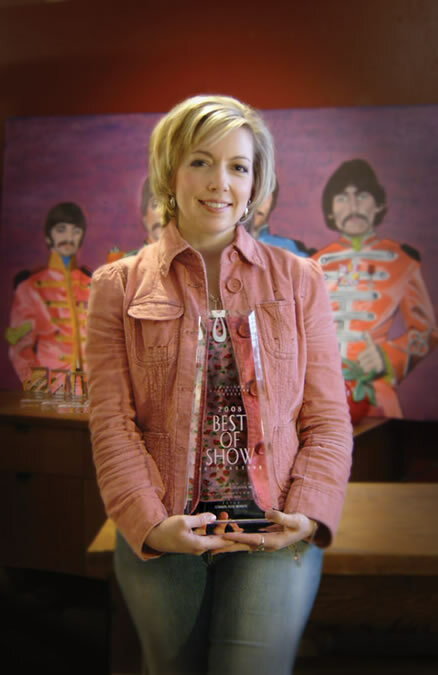 In 2007, Sorbo won a Gold ADDY® for design of her own website strawberryfieldsdesign.com, and that work was also nominated for Best of Show Interactive. She also took home ADDY® Awards in 2000 and 2001 while working as a graphic designer at the Weidner Center in Green Bay. The local ADDY® competition is sponsored by the AAF Fox River Ad Club. Sorbo accepted her firm’s awards at a ceremony March 6 at the KI Convention Center in downtown Green Bay. About Strawberry Fields Design Inc.Strawberry Fields Design Inc. is a boutique marketing communications firm. They take a strategic approach to providing unique graphic and web design services—specializing in captivating and capturing the female audience. The firm designs and develops a broad array of print and digital marketing collateral, including websites, logos, corporate identity, brochures, annual reports, magazines, advertising materials, and social media. Located in Green Bay, WI, Strawberry Fields Design was founded in 2006 by award-winning graphic and web designer, Addie Sorbo. To view their portfolio and learn more about the firm’s services visit: www.strawberryfieldsdesign.com.